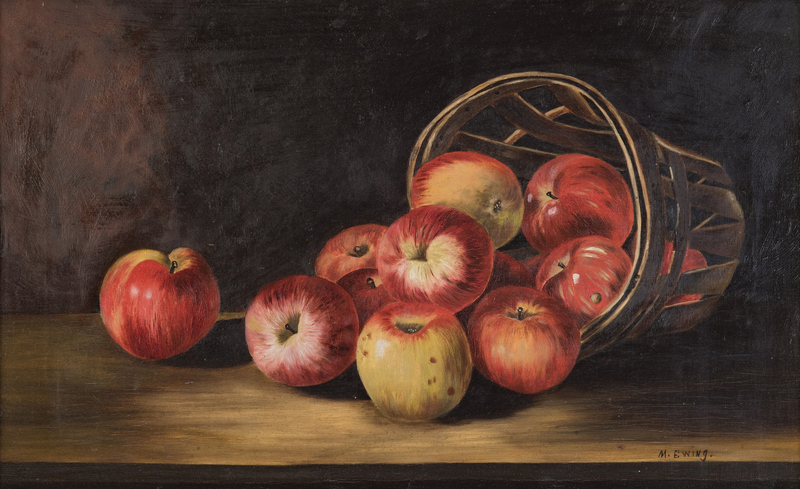 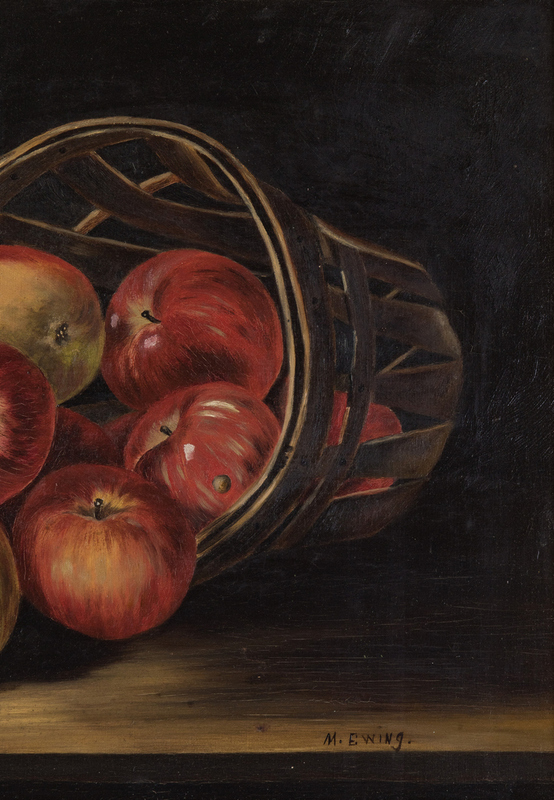 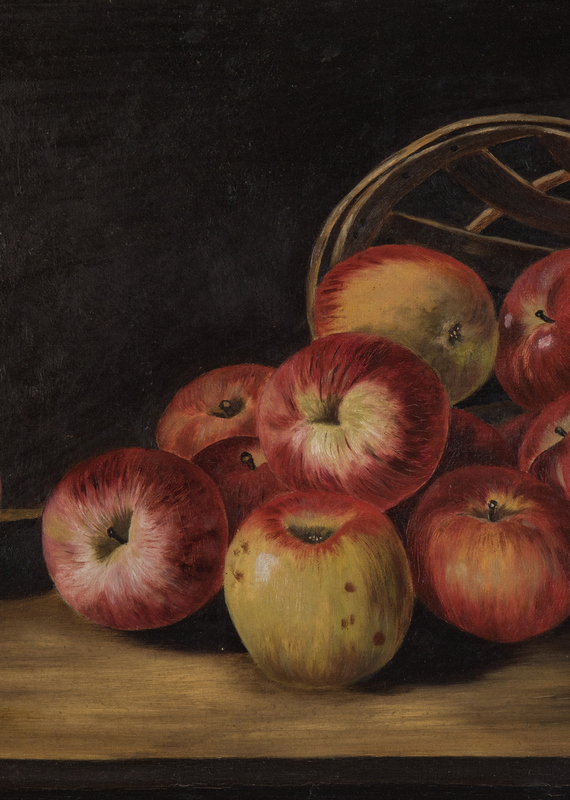 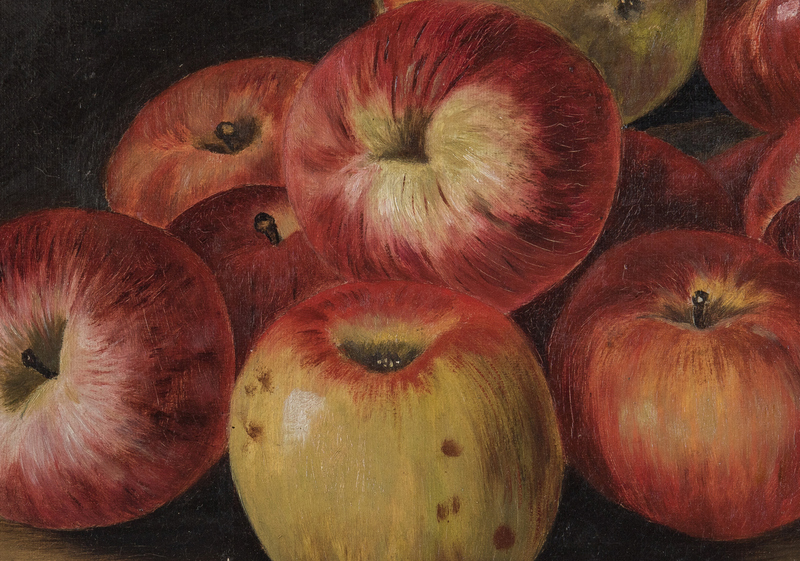 American school oil on canvas still life depicting apples toppling from a basket onto a tabletop. 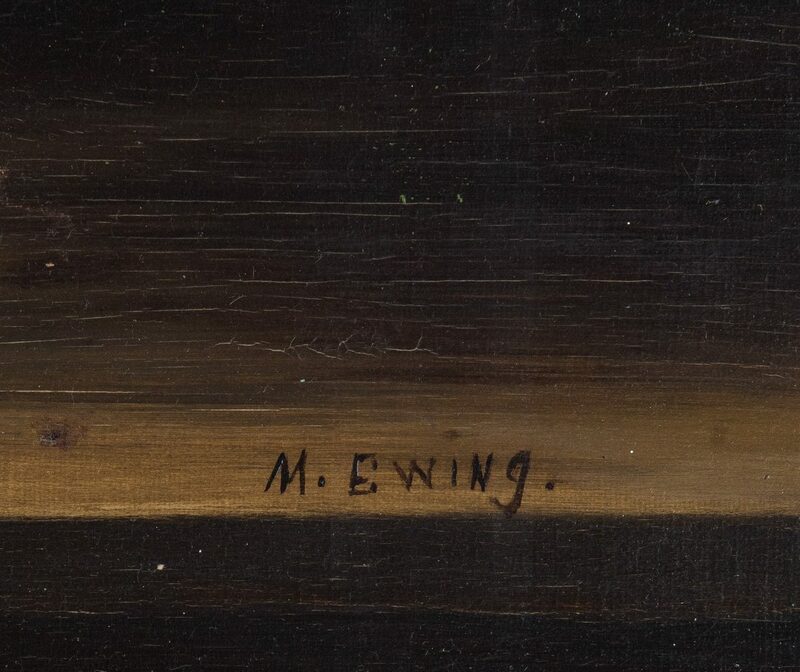 Signed "M. Ewing" lower right. 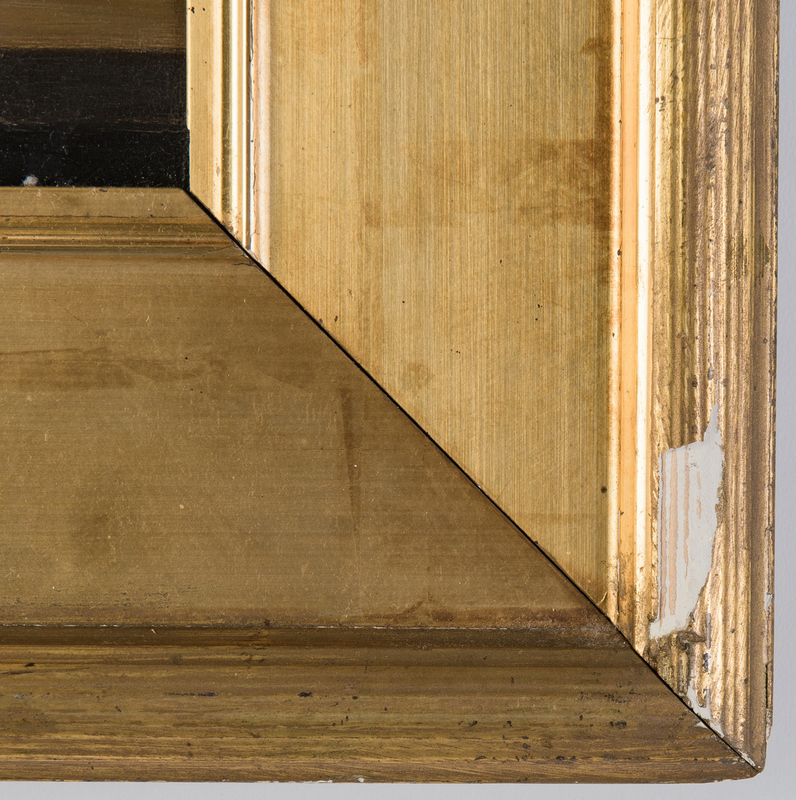 Housed in a period carved gilt and gesso frame. 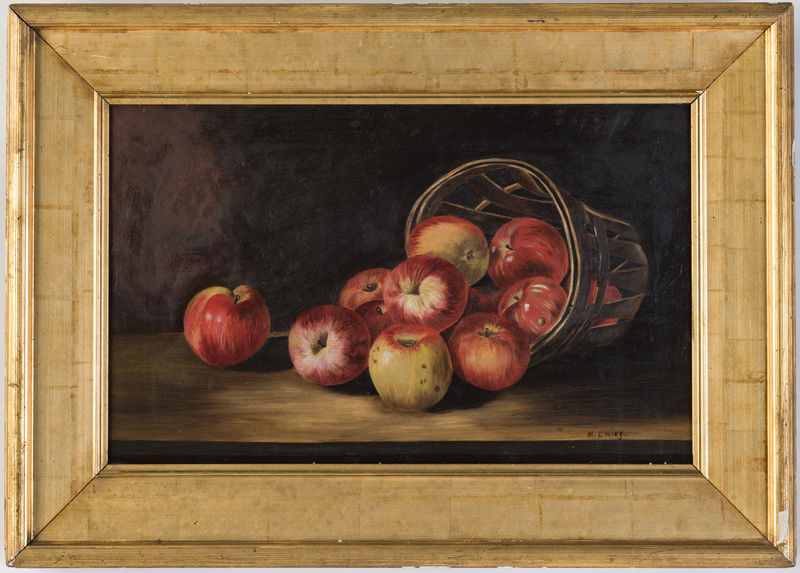 Sight – 14 3/8" H x 23 3/8" W. Framed – 22 5/8" H x 31 1/2" W. Late 19th/Early 20th century. 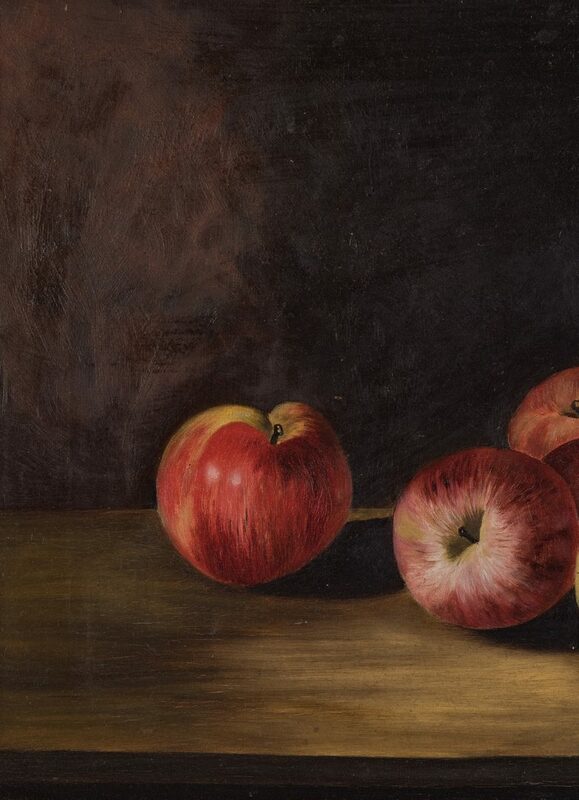 Provenance: The University Club of Nashville, TN. 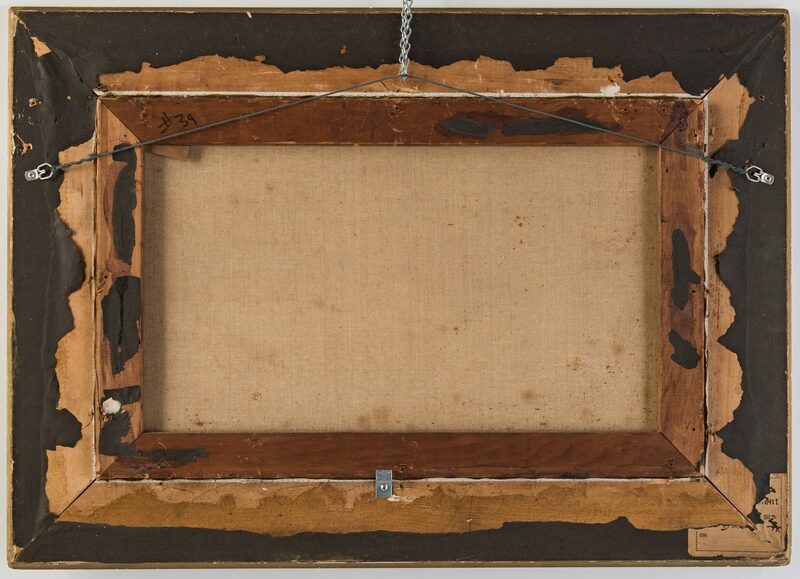 CONDITION: Overall very light craquelure to canvas, some rubbing of canvas to stretcher, overall good condition. 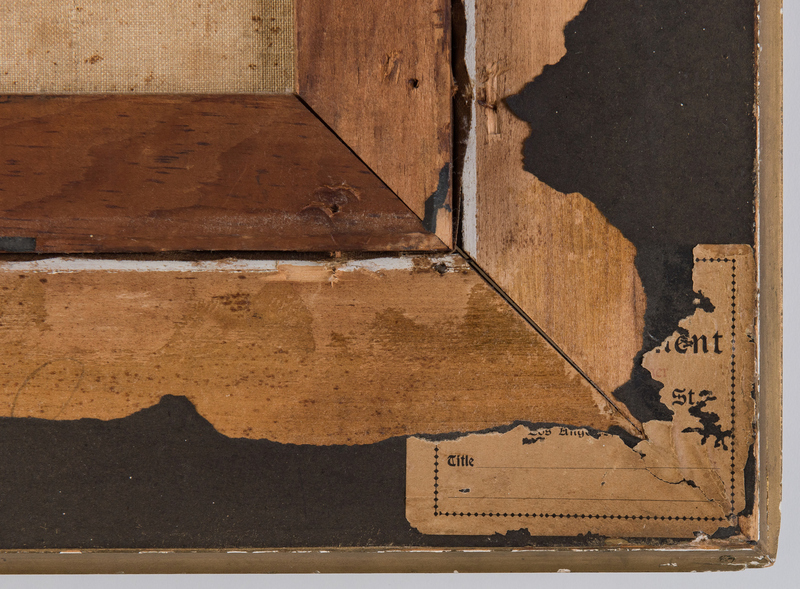 Scattered abrasions and losses to frame.